Kimi : 2007 comeback not possible. McLaren : We’re going to push to the end. 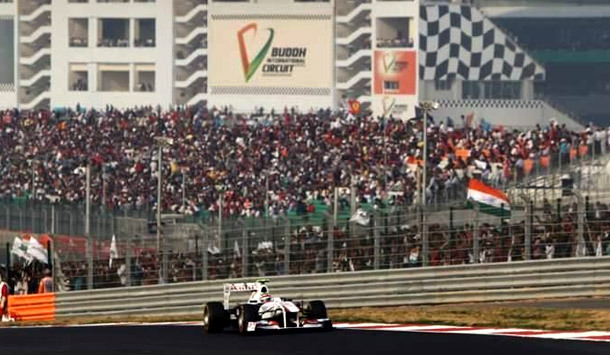 The 17th Formula One World Championship Grand Prix has come to a relatively new motor racing circuit, the Buddh International Circuit at New Delhi, India. 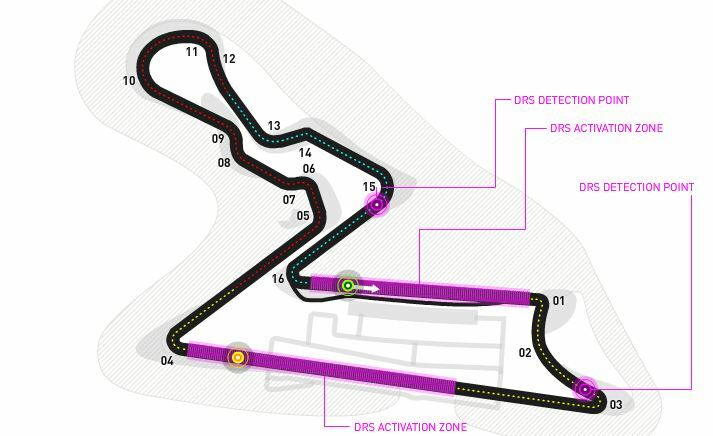 Debuted at 2011, this circuit is known to be very challenging to the drivers, due to the wide corners, multi apex corners and also the changes in elevation. Sebastian Vettel said it’s like a roller coaster. Since the circuit is new, it is still possible to break the lap record before the change in regulations in 2014. The circuit length is 5.125 km and the 60-lap-race is 307.249 km long. It has one of the longest main straight (1060m) and also one of the longest pit lane (about 600m). Race strategies are important to make sure the time spent in the pit lane is “well spent”. Turn 3 is unusually wide to allow drivers to take different approach down the DRS main straight and improve overtaking. One of the most unique section of the circuit is the multi-apex Turn 10, 11 and 12. It’s a huge, bowl-shaped double-apex right-hander, like the Spoon at Suzuka Circuit, but tightens at the exit. Also, not to forget the left-hander at Turn 5, 6 and 7 which is very tricky to master, a good traction without sacrificing too much speed. Pirelli will be bringing their P Zero Yellow soft and P Zero Silver hard tyres, a conservative combination provided that the circuit is still new. An extra set of soft tyres are given to the teams on Friday FP1 session for extra testing and data collection. Tyre loadings is expected to be high especially on the high speed multi-apex Turn 10, 11 and 12. The elevation changes through the course of the circuit and the drivers have to take account of that when braking. Red Bull is still leading the pack on both constructors and championship standings with Ferrari and McLaren challenging its position. It is a great timing to race in a real racing circuit this weekend rather than a street circuit and we can see the teams and drivers give everything they could to the race. While Kimi Raikkonen has expressed his thoughts on the chances of getting the title, McLaren and Ferrari have not given up any hopes in the constructors championship standings. We’ll watch another epic battle between the top teams again.